Joined BNP Paribas Securities Services in May 2001 running projects and product development in the clearing, settlement and custody area.He has been successfully developing new client solutions, such as Banks and Brokers Outsourcing and global clearing and settlement, for BNP Paribas since 2004. 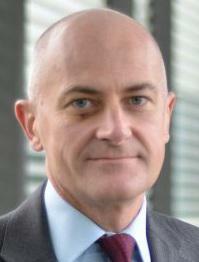 Philippe Ruault moved to London in September 2009 to take over the role of head of financial intermediaries in the UK. He was appointed global Head of Products for Local Clearing, Settlement, Custody in September 2011. In September 2014, he was appointed Head of Clearing and Custody Solutions unit, comprising clearing and direct custody products, global network management and global custody product. In Mai 2016, Philippe has taken over the the responsibility of the Innovation and New Digital Business Lab for Securities Services. Philippe is a member of the BNP Pariabs Securities Services Executive Committee.